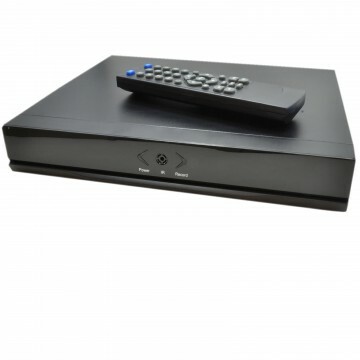 Encam recorders combine reliable recording and user friendly interfaces making it your perfect choice when installing CCTV systems. 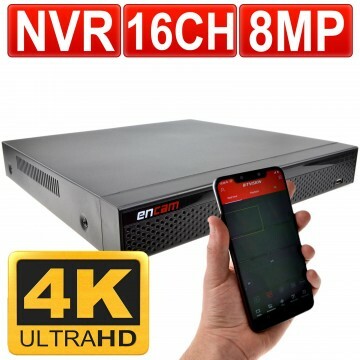 Designed for IP cameras this Encam NVR system (Network Video Recorder) has a built-in power over Ethernet (POE) switch. Allowing you to power and view your camera via a single RJ45 ethernet cable. Perfect for keeping cables to a minimal. 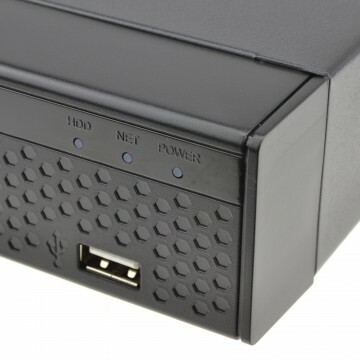 Available in both 4 port or 8 port versions depending on how many cameras you have or require. The smart technology allows you to view your cameras anywhere in the world live from your android or IOS device! You can also setup email notification’s to alert you if someone is on your property and set cloud backups to record footage just in case your recorder is stolen. You can also setup sharing footage over the internet. Thanks to the peer to peer (P2P) technology viewing on your mobile phone or tablet is an easy process. Simply scan the onscreen QR (barcode)code to download the ap (Bitvision) from the google play store and then scan the serial number to add your system. You can now view your cameras Worldwide with the touch of a button in real time. Set parameters (recording zones) for each camera so your motion detection is set to key areas of your property. Adjust the sensitivity of your motion detection to avoid recording every bird or cat that passes your camera. You can set your record time too, you can set the motion detection to only record at night time or only during work hours or alternatively just set the amount of time in seconds the footage is captured (in seconds) when the motion detection is triggered. This can save valuable space on your hard drive.